McGeeney was recently ousted from his post as Kildare boss. FORMER KILDARE BOSS Kieran McGeeney has broken his silence, thanking fans for their support in a statement released tonight. McGeeney had been expected to appear on RTE’s Second Captains show this evening, only to pull out at the last minute. In order to draw a line under the last few weeks I feel it is in the best interests of Kildare football to release a statement so everybody can move on and get things in place for next year. A special thanks to all the people who have worked tirelessly in the back ground especially Julie Davis, Hugh Campbell, Tom Murphy, Danno Keely and Morgan O’Callaghan. To those that stood on the sideline with me, Jason, Damien, Niall, John, Aidan and Paul, I have learned so much from all your input as have the players with whom you worked. To the medical staff , Danny, Noel and David who have worked so hard to keep the players on the pitch and in a healthy frame of mind I thank you for all your hard work. Thank you to all. A special mention for all the people in Club Kildare, especially Pat, Dermot and June, who put in so many hours behind the scenes .They raised valuable funds in such a difficult economic time. Your help will never be forgotten by the players or the management. To the supporters it has been an absolute pleasure to be part of this journey over the last six years. Thank you for all your support both in the good days and the bad, your passion for football has been matched only by your generosity and kindness towards the whole Kildare county set up. To the clubs I would like to say thanks for all your support and your work in developing the young (and not so young )players so that they were in a position to line out for their county and proudly represent their clubs. Finally, I want to emphasise to all the players that it has been an honour to stand beside you and to work with you. Although we never got the silver ware we hoped for I know that it was not for the lack of effort or desire. There has been a lot of changes over the last twelve months and I really believe with the emergence of new talent alongside the experience and ability that exists in the squad means its only a matter of time before Kildare achieve what they have been working towards. Email “Former Kildare boss Kieran McGeeney breaks his silence”. 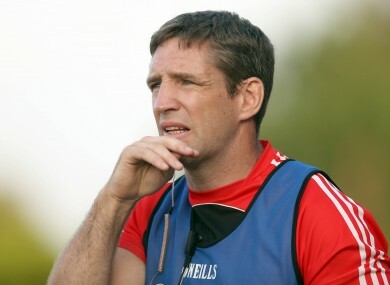 Feedback on “Former Kildare boss Kieran McGeeney breaks his silence”.